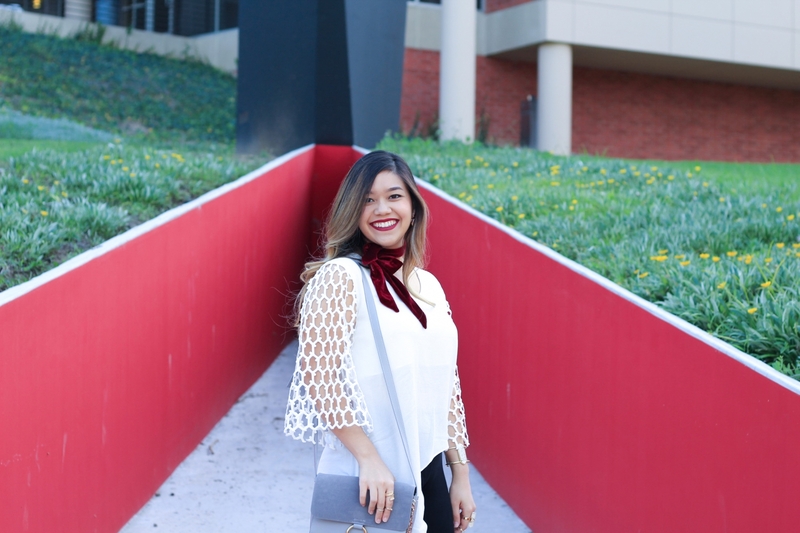 Now that it is finally starting to feel and look like fall, I wanted to incorporate a major fall textile trend into my outfit: The Velvet Trend!! As much as I love velvet, I love suede even more! 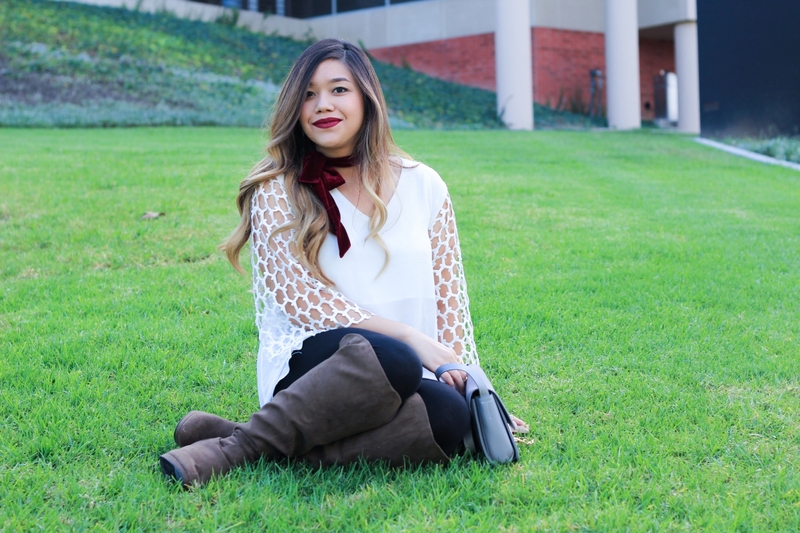 And what better way than to combine my love for velvet and suede into one whole outfit? So I decided to style my cute velvet skinny scarf with my spanking new suede knee high boots and suede crossbody bag. I know it might not look like it in the pictures, but my suede knee high boots are actually olive green in color! If you read my previous post, then you probably know how much I love olive green EVERYTHING. And let me tell you, these boots are such a steal at only $35! 🙌🏻 Both the olive green and taupe colors are fully stocked in all sizes so make sure to grab them while you can! I am IN LOVE with this crossbody bag! I’m so excited to add this bag to my collection because I don’t own any gray bags! I love love love the chain detailing and the fact that it is suede, of course. 🙈 What I love even more? THE PRICE. Can you believe that this bag is under $12?! YES PLEASE!! 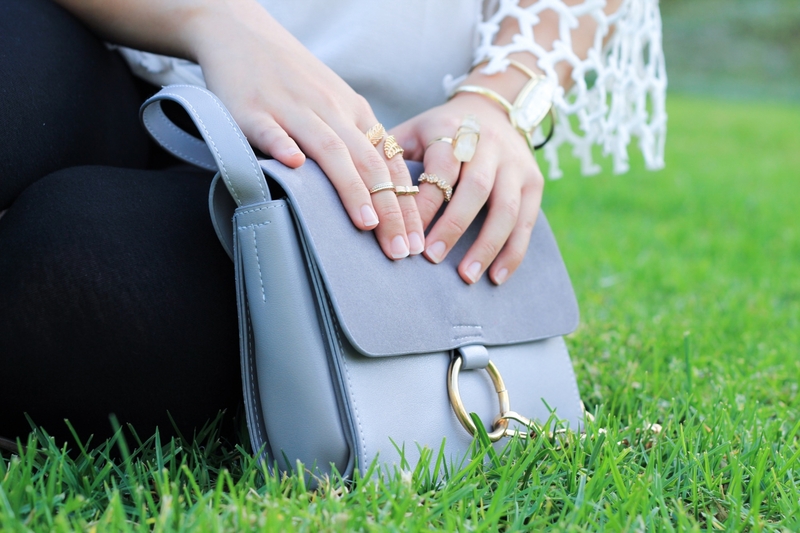 This beautiful gray suede crossbody bag is from Rose Wholesale, an online retail company much like Zaful. My experience with them is nothing short of amazing. They have such a wide selection of affordable items, which is great if you want to try trendy pieces without spending a fortune! This super cute asymmetrical top with the most darling and intricate sleeves is also from Rose Wholesale. 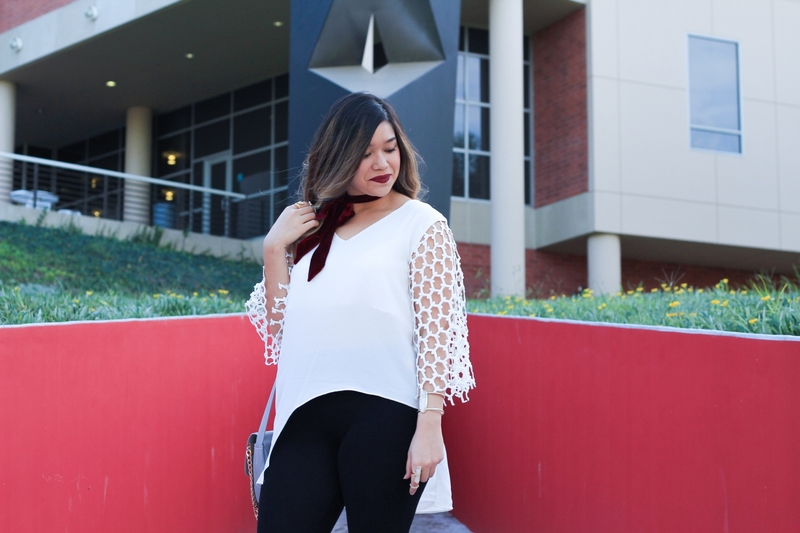 I love how unique this top is and still can’t believe that it is under $13! For reference I am wearing a size M. If you’re scared about the size and fit, don’t be. My advice is to measure yourself and always cross reference your measurements with the size chart as they vary for different items. I also like to look through their Instagram to see how their items look on others as well as how people are styling their items. What do you think about the velvet trend for fall? Yay or nay? Disclosure: I was not compensated for this post; however, I did receive this gray suede bag and asymmetrical top from Rose Wholesale for my review. All opinions are my own and not influenced in any way. OMG GIRL YES. YES YES YES! And that bag…Obsessed – I am legit purchasing it right now – it’s so inexpensive but so chic!! I am loving velvet lately! This look is amazing! Ohh, so cute! I really love the deep red I’ve been seeing for fall! I totally agree with you on the velvet trend! 🙂 Love the little neck scarf you have, I have one exactly like it but in black. Oh my, these look so cute! You gave me great ideas… 😀 Thanks for sharing! I love your whole outfit! Those boots!!! I need them! I am hoping that the weather gets cooler here soon, so I can break out my boots/other Fall clothing. i love this, so clever to incorporate velvet in an unexpected way! Goodness, I just love everything in this outfit! 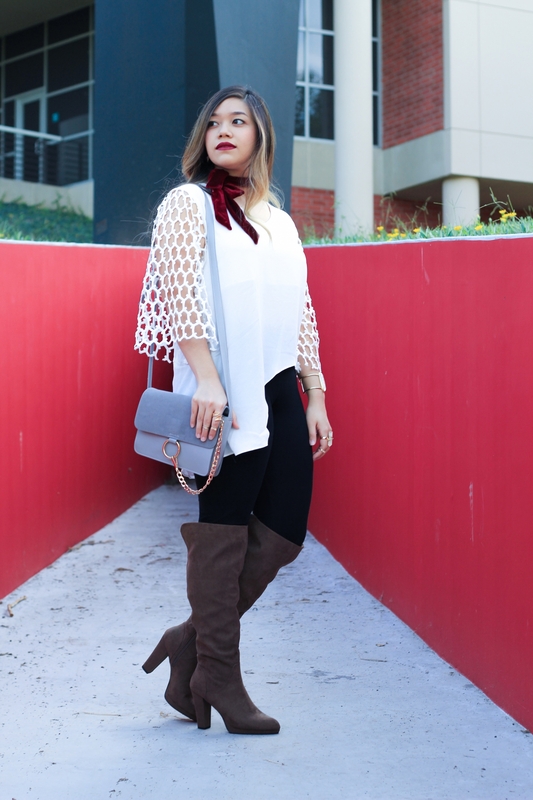 That scarf is gorgeous on you, and that’s such a great price for the boots! 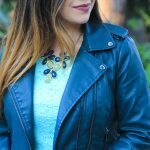 This makes me really want to add a little velvet to my looks, too! 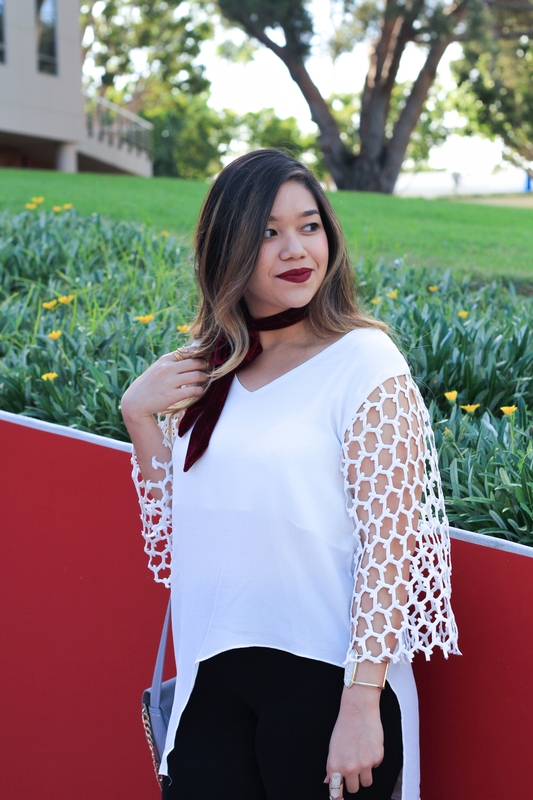 I love the details on the sleeve of this top! I think velvet can be done as long as you keep it somewhat minimal. I once saw a woman dressed in complete velvet! Like earrings, socks and even the glasses! Ok I don’t even know where to start with this look! First of all I LOVE the idea of that skinny velvet scarf! So unique! Secondly that bad is seriously amazing and for $12??? Awesome! this is so amazing. i love your boots! I really like the velvet trend but never know how to incorporate it in my look. This is such a great way to add it and is such a nice touch! Also love your purse too – such a pretty color! Love this look! A great way to incorporate the velvet trend! love love love this! So adorable. 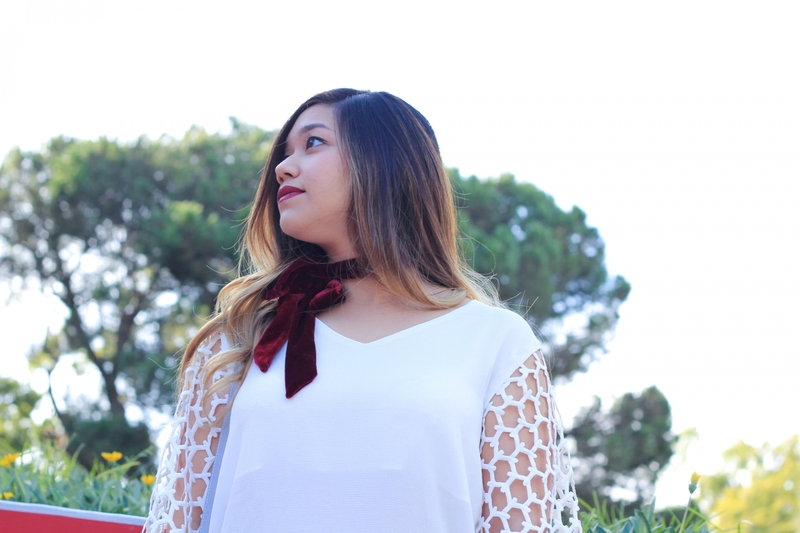 The velvet choker is the perfect fall touch! I really wanted to try something in velvet. I think I might follow your lead and try the scarf. Love the color, and it looks great on you. 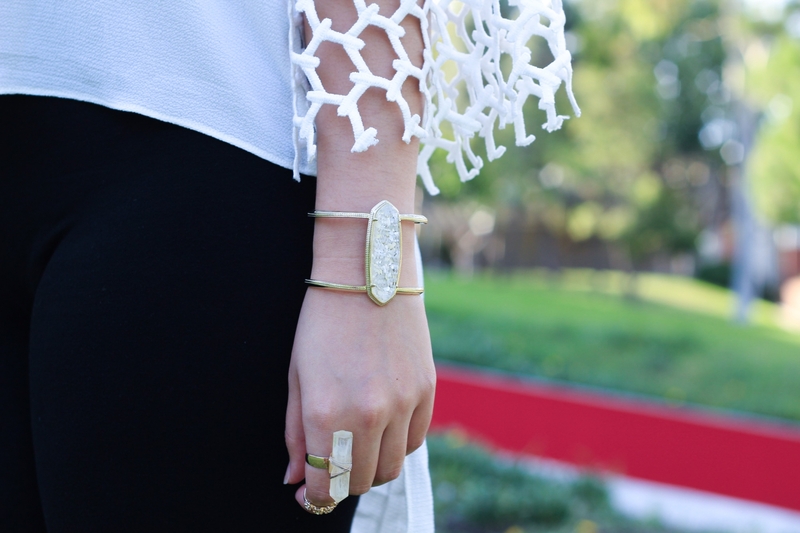 Love everything but especially the bracelet! So lovely! You look AMAZING. WOW!!! I love it! So happy to meet another petite blogger. 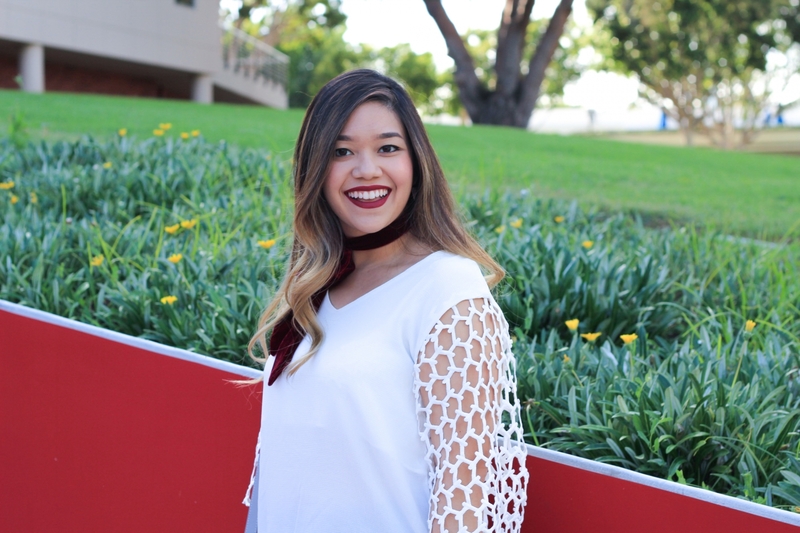 I love velvet for fall and how you integrated it into your outfit! That burgundy velvet tie is the cutest and so beautiful! I love the velvet and I love your outfit! This is perfect! 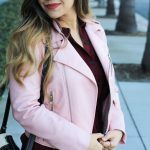 I’m so obsessed with the velvet trend and love how you styled it!